Howabout an old Batman whooping on Supes? The Green Scar was from the World War Hulk series and Colossus powerup is happening during the Fear Itself series. 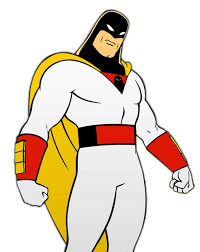 Only Mr. Clean beat all the Marvel and DC superheroes & villains with Magic Erasers so all the colors and Inks wipe clean. I am not a fan of all the "new/additional power ups" for many/most of the DC/Marvel superheroes/villains. (Stopped reading/collecting comics ages ago, but I am very familiar with most/nearly all DC/Marvel superheroes/villains -- the more mainstream/popular ones anyways: Superman, Batman, Flash etc., X-men, Wolverine, Hulk, Spidey etc..
U do realize this (old Bats whopping Supes) is "supposedly" the premise of the new Superman VS Batman: DoJ movie right? Some of the heroes you compared arent even comparable. Justice League and Avengers are comparable as would be Nova from the Nova Corps and Green Lantern from Green Lantern Corps and Ms. Marvel and Wonder Woman. Also Captain America and Batman. These are all their respective universes counterparts. Thor can beat Superman but I don't see the Hulk doing it. Hulk is strong but he has limitations. He may get stronger the angerier he gets but his anger has a limit. That's why there's different versions of the Hulk. Savage Hulk was one of the strongest since he no longer had Bruce Banner keeping him in check. Green Scar also known World Breaker Hulk had full control of his anger and brain. But those Hulls are no more. But the way they write comics they'll probably just majke Hulk vs Superman a slugfest with no display of real power like the Superman/Doomsday fight or the DC vs Marvel fan voted series back in the 90's lol. Colossus lost the powers of the Juggernaut awhile back but his normal powers have increased over the years as he is the strongest (strengthwise) mutant and strongest (strengthwise) beings on Earth. Now Cain Marko has the power of the Juggernaut but this time he's even stronger since Cytorrak made it so the Juggernaut has even more power than the god Cytorrak and has no more weaknesses. 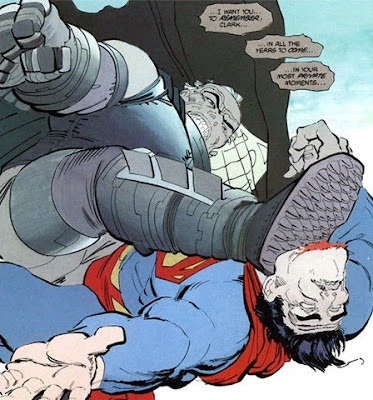 Dawn of Justice is only taking inspiration from The Dark Knight Returns comic. Even in the comic Batman doesn't really win. Spoile Alert*********He fakes a heart attack during the battle. Later on at the funeral Clark hears Bruce's heartbeat and winks at Robin. But the way Batman did battle with Superman he had traps laid out through the city. Batman is smart and always had a plan. In JLA: Tower of Babel Batman's files on JLA members strength, weaknesses, and how to stop them was stolen by Ra's al Ghul and he defeated the JLA. Its been awhile and I forgot to update lol. So in the original post about Colossus vs Juggernaut it happened during the Fear Itself story. Juggernaut received a Asgardian hammer and received a power up. Cytorrak stripped him of the Juggernaut powers and Colossus gained them to fight against the new evil making him incredibly strong. If you want check out the YouTube videos. Glad your reading skills are up to par. And to clarify I said Batman didn't win.